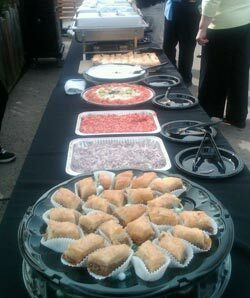 Yes, we cater! Enjoy your next event and let us do the cooking! You can pick up or we can deliver for an additional charge. Minimum 48 hours notice preferred. Prices below are subject to change. Please call Shelly at (707) 425-0500 or email shellyk@atheniangrill.net.